Women lighthouse keepers, North American Natives, fur traders, cooks on sailing vessels, missionaries, and fearless travelers all wrote of their lives on the Great Lakes. Their narratives, which span the centuries from 1789 to the present, are now collected in this anthology for the first time. Some writers were well known. Others left their quiet testimonies in letters, log books, and diaries that have never before been published. Beginning with Native stories and continuing through writings by women pioneers, travelers, and working women, more than three dozen selections of autobiography, fiction, newspaper accounts, and poetry chronicle what it has meant to live on the lakes from childhood to old age. Victoria Brehm, Ph.D. is a retired professor who writes about the Great Lakes. 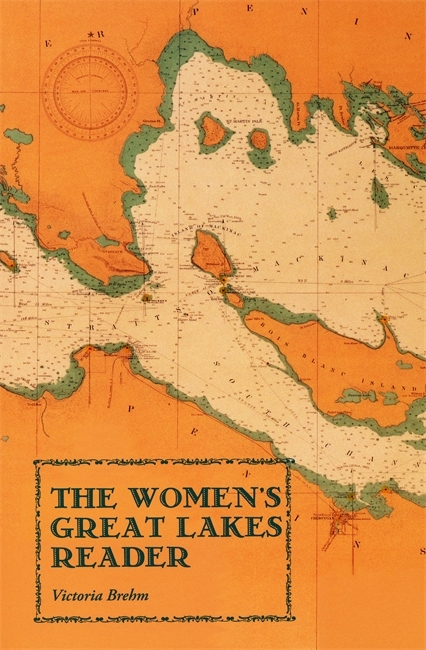 She created The Women’s Great Lakes Reader, named "One of Fifty Essential Books for Michigan History," and Star Songs and Water Spirits, the first collection of lakes’ Native literatures, described by Lake Superior Magazine "A masterwork and an accumulated treasure." She lives on her family’s Centennial Farm in Tustin, Michigan.